This was the old cowshed, back in the 1940’s and 50’s the cows were milked morning and night and the milk sold to the nearby villagers with the surplus sent in churns to the Milk Marketing Board. In more recent years the cowshed housed up to 12 suckler cows during the winter months but with the construction of more modern housing they have been moved to new accommodation! The Byre is the middle cottage in the long range of buildings. Slate steps with a metal handrail lead up to the front door which opens directly into a light and airy lounge/kitchen/dining area. There are 2 bedrooms with high ceilings which provide a light and airy space; the 1st bedroom has a brass & iron king size bedstead and the 2nd bedroom has twin brass & iron bedsteads. 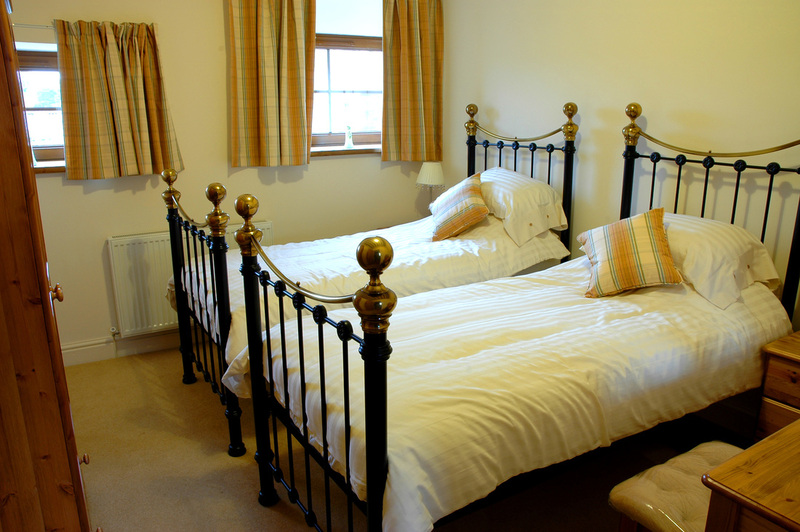 Many guests have commented on the comfort of these beds. 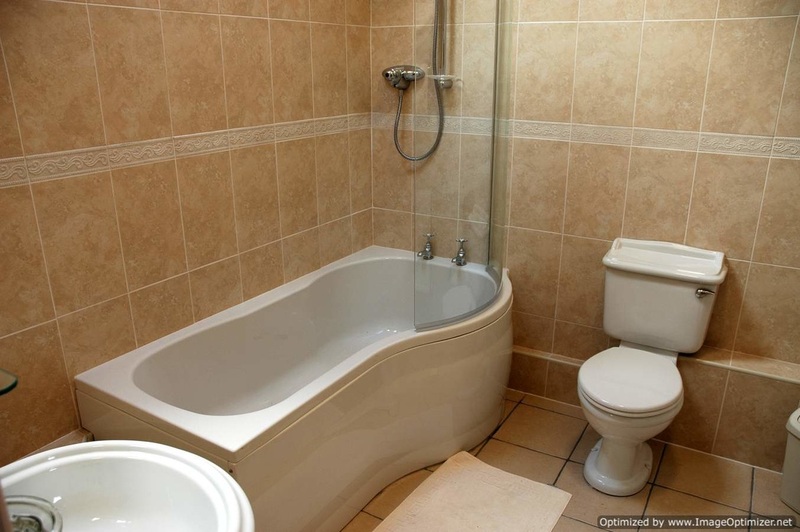 The spacious bathroom is fully tiled and has a large bath with overbath shower and glass screen, wash hand basin and toilet. The back door leads directly out from the lounge onto a private patio area with views of the hillside above. You can watch the red kites, buzzards and other birds soaring in the skies above, see the sheep grazing and observe the wildlife. 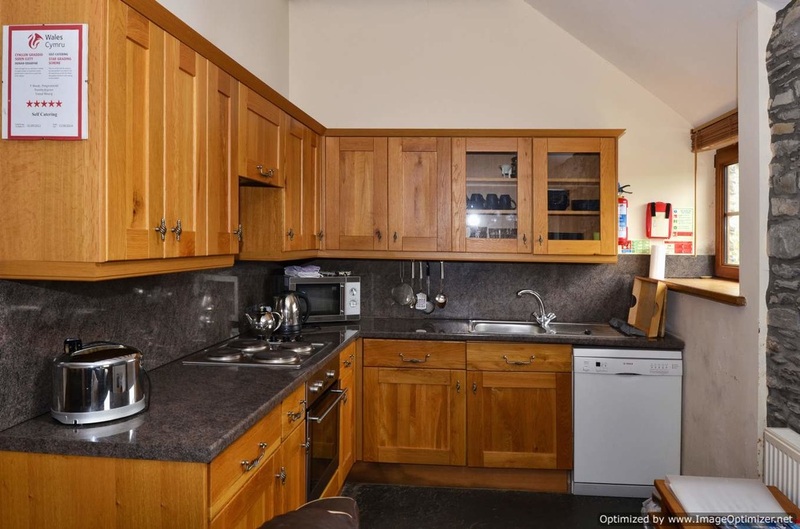 An adjoining door to the Barn cottage is a useful facility to combine both cottages.